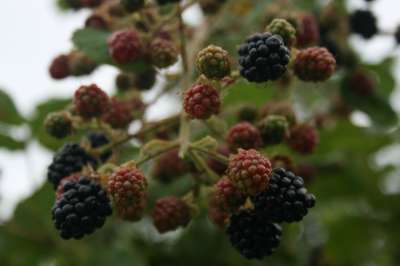 An old hybrid blackberry raised by crossing two wild blackberries at the John Innes Institute in approximately 1923. Vigorous thorny canes, giving heavy crops of very large fruits in September and October. Good sweet flavour.